London is a cosmopolitan mixture of the Third and First worlds, of chauffeurs and beggars, of the establishment, the avowedly working class and the avant-garde. Unlike comparable European cities, much of London looks unplanned and grubby, but that is part of its appeal. Visiting London is like being let loose on a giant-sized Monopoly board clogged with traffic. Even though you probably won't know where the hell you are, at least the names will look reassuringly familiar. The city is so enormous, visitors will need to make maximum use of the underground train system: unfortunately, this dislocates the city's geography and makes it hard to get your bearings. 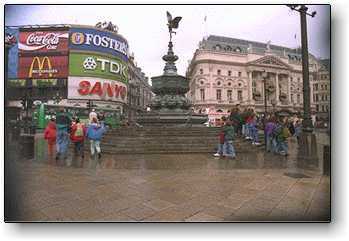 London is a year-round tourist center, with few of its attractions closing or significantly reducing their opening hours in winter. Your best chance of good weather is, of course, at the height of summer in July and August, but there's certainly no guarantee of sun even in those months and that is when you can expect the biggest crowds and highest prices. 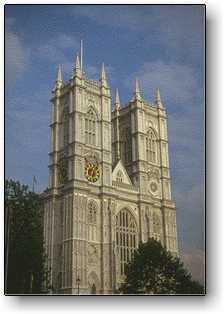 A resting place of the royals, Westminster Abbey, is one of the most visited churches in the Christian world. It's a beautiful building, full of morose tombs and monuments, with an acoustic field that will send shivers down your spine when the choirboys clear their throats. The roll call of the dead and honored is guaranteed to humble the greatest egoist, despite the weighty and ornate memorabilia. 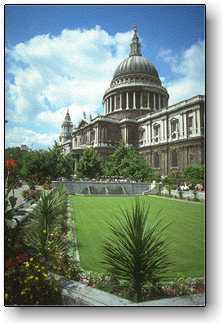 Half the world saw the inside of St Paul's Cathedral when Charles tied the knot here in 1981. The venerable building was constructed by Christopher Wren between 1675 and 1710, but stands on the site of two previous cathedrals dating back to 604. Its famous dome, the biggest in the world after St Peter's in Rome, no longer dominates London as it did for centuries - a fact which irritates the bonnie prince's sense of architectural harmony. Visitors should talk low and sweetly near the whispering gallery, which reputedly carries words spoken close to its walls to the other side of the dome. Westminster Cathedral is the headquarters of Britain's Catholic Church, and the only prime example of neo-Byzantine architecture in the city. The interior is part splendid marble and part bare brick - the money ran out. The 14 Stations of the Cross sculptures by Eric Gill and the marvelously somber atmosphere make this a great escape from coach tourists and traffic alike. 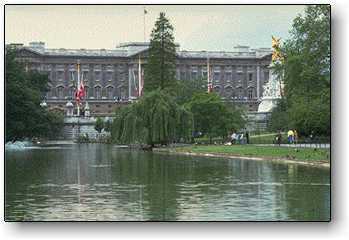 The Queen opened Buckingham Palace to the public for the first time in 1993 to raise money for repairs to Windsor Castle. The palace rates poorly compared to Britain's other stately homes. The interiors range from kitsch to tasteless opulence and reveal nothing of the domestic life of the Royal Family apart from a gammy eye when it comes to interior decor. The Tower of London, once a castle and palace, is now a beautifully preserved monument to cruelty. According to Shakespeare, their wicked uncle, Richard III, slaughtered the young princes and heirs of Edward IV here. The cells have played host to an illustrious crew which includes Thomas More, Anne Boleyn, Walter Raleigh, Rudolf Hess and Wham! Bloodcurdling attractions include torture implements displayed in Martin Tower. Don't overdose on suits of armor, coats of arms or Beefeaters and you'll have a fun time. Check out the ravens on the green: legend says that the day they desert the Tower, London shall fall to its enemies. The awesome neo-Gothic brilliance of the Houses of Parliament has been restored thanks to a recent spring clean of the facade. The building includes the House of Commons and the House of Lords, so the grandeur of the exterior is let down only by the level of debate in the interior. There's restricted access to the chambers when they're in session, but a visit around 6 pm will avoid the worst of the crowds. Check the time on the most recognizable face in the Houses of Parliament, Big Ben. Downing Street, the official residence of the prime minister and the Chancellor of the Exchequer, has been guarded by an imposing iron gate since the security forces realized that the lone iconic bobby outside Maggie's door was not sufficient to stop the IRA mortar bomb attack in 1989. The British Museum is the oldest, most august museum in the world. It is so big and so full of 'stuff' collected by Victorian travelers and explorers that visitors often make the mistake of overdosing on the antiquities. See as much as you want to see, not as much as you believe you should. Highlights include the weird Assyrian treasures and Egyptian mummies; the exquisite pre-Christian Portland Vase and the 2000-year-old corpse found in a Cheshire bog. The Victoria & Albert Museum has an eclectic mix of booty gathered together under its brief as a museum of decorative art and design. It sometimes feels like an enormous Victorian junk shop, with nearly four million artifacts on display. It's best to browse through the collection whimsically, checking out the Chinese ceramics, Japanese swords, cartoons by Raphael, sculpture by Rodin, the Frank Lloyd Wright study and the pair of Doc Martens. The Natural History Museum is one of London's finest Gothic-revival buildings, but even its grand cathedral-like main entrance can seem squashed when you're confronted with hordes of screaming schoolkids. Keep away from the dinosaur exhibit while the kids are around and check out the mammal balcony at the Blue Whale exhibit or the spooky, moonlit rainforest in the ecology gallery. The cash-strapped National Gallery, located on the edge of Trafalgar Square, has one of the world's most impressive art collections. Famous paintings include Cezanne's The Bathers and van Eyck's Arnolfini Wedding. Entry to the gallery is free, which means if you feel like dropping in and looking at just one or two pictures, you can do so at your leisure without feeling obliged to cover extensive territory. The Tate Gallery is the keeper of an impressive historical archive of British art. The adjoining Clore Gallery has a wonderful collection of JMW Turner paintings, and tries not to miss the pre-Raphaelite room. Housed in the former Bankside Power Station, the brand-spanking new Tate Modern displays the Tate's collection of international modern art, including major works by Bacon, Dal? Picasso, Matisse, Rothko and Warhol, as well as work by more contemporary artists. The building is as exciting as the art: gorgeous industrial-strength red brick with a 325-foot-high chimney. The former turbine hall, below street level and running the length of the vast building, now forms the awe-inspiring entrance to the gallery. Several of London's large cultural centers are bleak, concrete monstrosities, but the events held inside are world class. The South Bank, on the 'wrong side' of the Thames, looks spectacular at night, and includes the Hayward Gallery, the brilliant Festival Hall, the National Theatre and the National Film Theatre. The Barbican is a brutal architectural nightmare, saved only by the fact that it's the home of the Royal Shakespeare Company, the London Symphony Orchestra and the London Classical Orchestra. The restored Globe Theatre is a faithful reproduction of the original (complete with thatched roof and ash and nutshell floors), which featured Shakespeare's plays and was closed by Puritans in 1642. The Institute for Contemporary Art is a great place to relax, hang out and see some cutting-edge film, dance, photography, theatre and art. Huge Hyde Park used to be a royal hunting ground, was once a venue for duels, executions and horse racing, and even became a giant potato field during WWII. It is now a place of fresh air, spring color, lazy sunbathers and boaters on Serpentine Lake. Features of the park include sculptures by Jacob Epstein and Henry Moore, the contemporary Serpentine Gallery and Speaker's Corner. Regents Park is the home of London Zoo, a mosque, and an open-air theatre. The Queen Mary Rose Gardens in the center of the park are particularly spectacular. Nearby Primrose Hill has a great view of London. Kew Gardens, in Richmond, Surrey, is both a beautiful park and an important botanical research center. There's a vast expanse of lawn and formal gardens and two soaring Victorian conservatories - the Palm House and the Temperate House - which are home to exotic plant life. Hampstead Heath is one of the few places in London where you can actually forget that you're in the middle of an 800-sq-mile (1300 sq km) city. There are woods, meadows, hills and bathing ponds and, most importantly of all, lots of space. Plant your feet in two different time meridians at the Royal Observatory in Greenwich Park. Nearby is the world's biggest, emptiest and most expensive bouncy castle, the Millennium Dome, which is now closed as a tourist attraction. The huge Camden Markets could be the closest England gets to free-form chaos outside the terraces of football stadium. They stretch between Camden and Chalk Farm tube stations, incorporating Camden Lock on the Grand Union Canal, and get so crowded on the weekends that you'll think you're in the Third World. The markets include the Camden Canal Market (bric-a-brac, furniture and designer clothes), Camden Market (leather goods and army surplus gear) and the Electric Market (records and 1960s clothing). The colourful Portobello Market is London's most famous street market, best seen on a Saturday morning before the gridlock sets in. It's full of antiques, jewelery, ethnic knick-knacks, second-hand clothes and fruit and vegetable stalls. Petticoat Lane is East London's celebrated Sunday morning market, but it's overrated, overpriced, and appeals only to those so bleary-eyed from the night before that they think they need broken chocolate bars, ugly trinkets and cut-price cans of Ajax. Brixton Market is a cosmopolitan treat made up of a rainbow coalition of reggae music, slick Muslim preachers, halal meat and fruit and vegetables. Its inventory includes wigs, homeopathic root cures, goat meat and rare records. 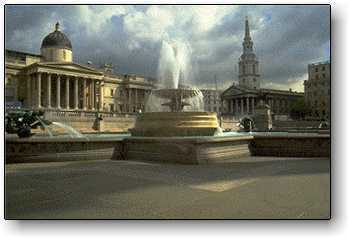 No other area of Britain is as rich in history, tradition, and cultural associations as London. Throughout the capital there are great mansions, venerable old buildings, quaint houses, unrivalled collections of art treasures, tremendous sweeps of glorious parkland and colorful ceremonies to suit every possible taste and mood. 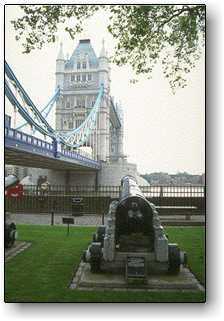 History is from there and ,of course, it is worthwhile visiting London.